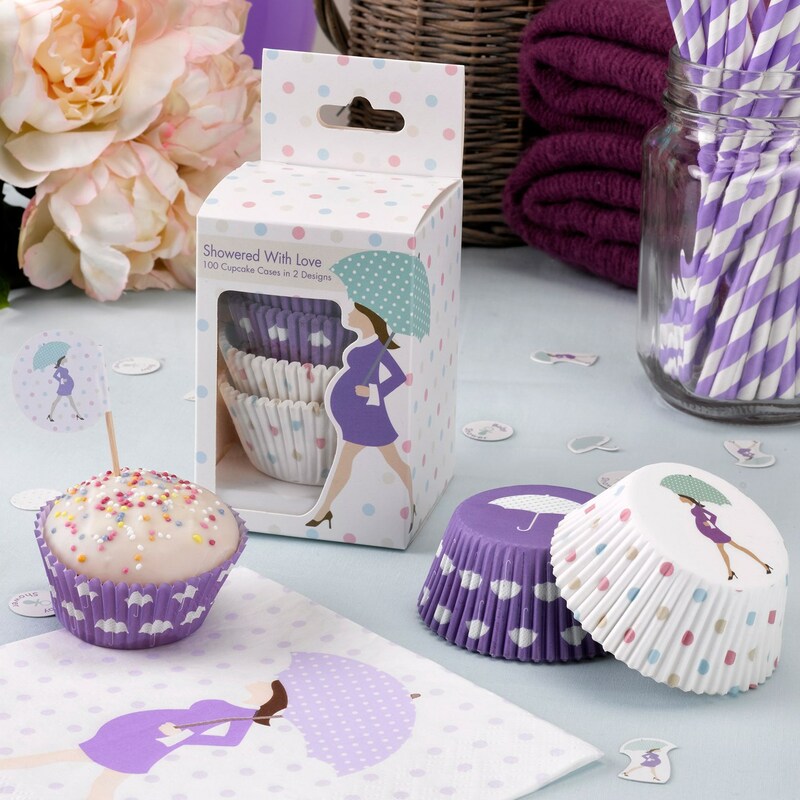 No baby shower is complete without cupcakes, and with these unusual cake cases make your home bakes look really special. Each box of 100 cases features a mix of polka dot and umbrella designs, co-ordinating with the other accessories and decorations in the Showered With Love collection. Each pack contains 100 Cup Cake cases.